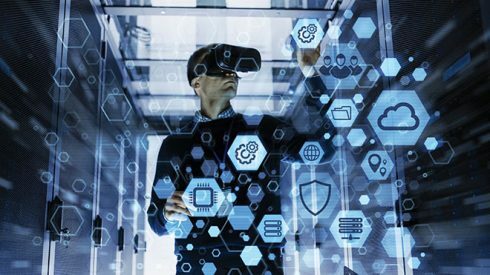 The latest advances in software-defined networking (SDN) promise to enable automation of IT operations, particularly among enterprises shifting to DevOps, application modernization initiatives and hybrid and multi-cloud architectures. Network systems providers such as Arista, Big Switch Networks, Cumulus, HPE, Nicira and Juniper were among the earliest to deliver on the concept of SDN at the beginning of this decade. In short order, every major supplier of network equipment, including market leader Cisco Systems, embraced SDN. Many described it as a natural progression of virtualization, but just as important — an inevitable move toward more open networks. The success VMware experienced a decade ago by allowing enterprises to virtualize their servers validated the notion that pooling network resources with a similar objective would remove dependencies on specific hardware and give more autonomy to applications. Initial SDNs, based on the Open Networking Foundation’s (ONF)’s OpenFlow standard, introduced a more efficient flow of network traffic by removing the network controller’s dependency on specific switches. SDNs are incrementally reshaping the makeup of carrier networks, including telecommunications providers, ISPs and public cloud operators, as well as on enterprise datacenter operations. As SDNs and the ability to have programmatic network functionality extend to the datacenter and cloud, they will have significant implications for automation, service delivery and agility. A shift to hyperconverged systems — bridging compute, storage and network services in unified hardware managed by a shared control plane — has already put a more nuanced focus on the software-defined datacenter (SDDC). VMware, now a subsidiary of Dell Technologies, has become a major force in bringing SDN to the datacenter and to the cloud thanks to its 2013 acquisition of Nicira, an early startup responsible for creating the first OpenFlow switch before contributing it to the ONF. Nicira’s technology became the foundation of VMware’s NSX network virtualization platform. Around the same time, Cisco, by far the most dominant suppliers of network gear and management software, took its first major step into true SDN with the launch of its Application Centric Infrastructure (ACI). It formed the basis of Cisco’s Application-Centric Infrastructure Controller (ASIC), introducing software-based policy control and paving the way for the company’s Digital Network Architecture (DNA), launched in 2016. Cisco DNA is the foundation for the company’s push into creating a fully programmable network architecture. CEO Chuck Robbins laid down the gauntlet last year with the announcement of the company’s “The Network. Intuitive” campaign, outlining Cisco’s new design approach, built on DNA with a new class of switches and routers that require less mapping of systems and offer more application intelligence. Just as important is building out a programmable network. To ensure that programmability, Cisco put an emphasis on APIs and a strategy of creating a developer ecosystem, resulting in the creation of DevNet four years ago. “We started DevNet to be able to get the world ready for the world of network programmability and network APIs,” said Susie Wee, VP and CTO of Cisco DevNet. Wee explained that Cisco built DevNet to enable traditional network engineers learn how to build and expose network APIs, but also to allow developers who have little or no network experience to work with these network interfaces when building software and services. “We needed to make it easy for developers to use the APIs to use the platforms and then build innovations,” she said. Since its creation, DevNet has created resources to enable developers to program for Internet of Things (IoT), cloud, security and collaboration. DevNet also offers various resources for API documentation and offers labs and developer sandboxes and has held events in 34 countries. The big news at Cisco Live is that there are now 500,000 participants in DevNet. Wee emphasized that the 500,000 are those who are engaged in some manner, whether participating in learning sessions or using tools in the sandbox. “What happens at this stage is that you get critical mass — you get critical mass in the ecosystem, and what that does is that it changes the innovation model for networking,” Wee said. Hoping to accelerate its momentum, Cisco added the new DevNet Code Exchange and DevNet Ecosystem Exchange, aimed at bringing ISVs and infrastructure providers together using Cisco’s APIs. It also includes a developer center for those engaging with Google Cloud, building on the two companies’ partnership to build out hybrid cloud offerings. Since delivering its first programmable system based on Cisco DNA, the Catalyst 9000 switch for large enterprise networks, the company reported it has shipped it to nearly 70,000 customers. Robbins said it is the fastest ramping product in Cisco’s history. “We’ve hit some sort of sweet spot that our customers are looking at, particularly with this automation and analytics architecture,” he said. The new programmability efforts also map with organizations shifting to hybrid and multi-cloud environments, tied with the move to modern applications built on containerization and microservices. The new Cisco Container Platform is now available with the company’s HyperFlex platform that lets enterprises deploy cloud-native apps on-premises that can use Kubernetes orchestration to share those apps in public Google Kubernetes Engine (GKE) instances. IT operations professionals can also manage and monitor the performance of those applications with the monitoring tools from AppDynamics, now a subsidiary of Cisco. As Cisco builds out its programmable network portfolio, despite its huge edge in terms of installed base, numerous rivals hope to cut into that lead, among them Arista, Big Switch, Juniper and VMware. Given VMware’s own large customer base of those that use its virtualization and private cloud tools, the company has somewhat of an inside edge. But its trump card was the fact that it nabbed Nicira five years ago. Nicira’s scalable network virtualization system, a clustered control plane using Apache ZooKeeper, is code that brings together a set of components that are fault tolerant and highly scalable, designed to function as a single point of control. “We fantasized about having APIs to control networks that we couldn’t on traditional hardware boxes,” said Bruce Davie, who was Nicrira’s chief service provider architect and now a VMware CTO, who talked up the future of networking at the recent VMworld 2018 conference in Las Vegas. VMware’s NSX is now that central point of control, Davie said. At a high level, NSX consists of a management plane for interacting with the switch via API calls, a control plane where all the networking functions are executed and the data plane, which implements services. An SDN’s ability to enable a more programmatic and flexible approach is also important in addressing security. Both Cisco and VMware have emphasized this by enabling support in their architectures for network segmentation, which is particularly important as organizations embark on multi-cloud efforts. VMware’s answer to enabling the SDN for its multi-cloud integration capability is NSX Data Center. It provides switching (including VXLAN-based overlays), distributed, static and dynamic routing between virtual networks; a distributed firewall, load balancer, VPN, gateway, context-aware micro-segmentation, multi-site systems, endpoint, network and cloud management. The NSX Data Center REST-based API provides integration with third-party cloud management platforms and custom automation tools as well as various security offerings and application delivery controllers, among other tools. VMware this year has extended the multi-cloud integration capabilities of NSX Data Center with support for both AWS and Microsoft Azure, as well as the ability to run workloads on its Cloud Foundry-based Pivotal platform, Kubernetes and OpenShift. The new NSX Data Center 2.3, launched at VMworld, adds support for bare metal hosts, including Linux and bare metal workloads running in hypervisor and container environments. VMware said because it supports standard Open vSwitch automation, which the company said permits any Linux host to function as an NSX-T transport node, it enables the termination of overlay networks. VMware also added the ability to plan and deploy micro-segmentation capabilities with its new vRealize Network Insight 3.9, which provides operational management of VMware NSX deployments. Organizations can now also share their NSX security policies with the switches from Arista in multi-cloud scenarios. The two companies, which formed a partnership back in 2014, have enabled interoperability between NSX and Arista CloudVision, which also links Arista’s Macro-Segmentation Services (MSS) with NSX’s micro-segmentation features. The advances in SDN notwithstanding, traditional LAN and WAN infrastructure still makes up the bulk of most enterprise networks today. But that is changing with rapid adoption of technologies such has hybrid cloud and SD-WAN for branch office acceleration. As telecommunications carriers look to transition from their multiprotocol label switching (MPLS) offerings into software-defined infrastructures in the coming years, SDN will take a bigger piece of the network pic. A recent report by Information Services Group said that’s inevitable, noting AT&T’s goal of having 75 percent of its networks SDN-compliant by 2022.